Coun. Jon Dziadyk is asking for council’s blessing to use taxpayers’ money to open an office in his northeast Edmonton ward. Coun. 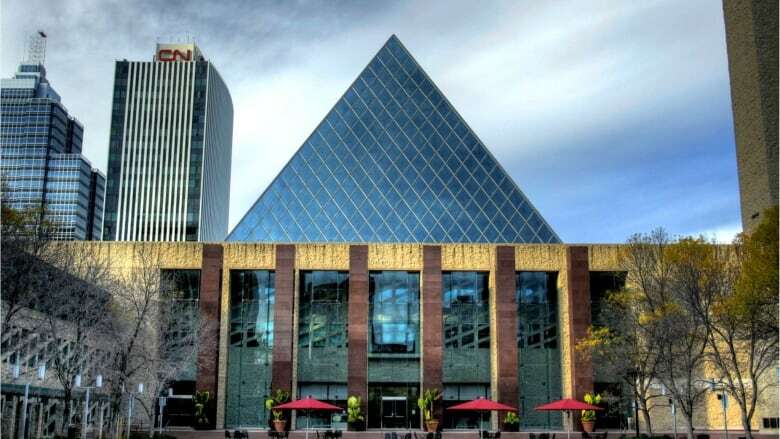 Jon Dziadyk is asking for council's blessing to use taxpayers' money to open an office in his northeast Edmonton ward. Dziadyk proposed the idea at a council meeting Tuesday, arguing that it would provide a more reliable, private and convenient space to meet his Ward 3 constituents. The ward stretches north from 144th Avenue, which is more than 40 blocks from city hall, making it onerous for some constituents to visit him, he said. "This is really sort of a Ward 3 solution for an engagement opportunity," Dziadyk said. He plans to spend $750 a month — $9,000 a year — from his ward budget to rent commercial office space in the Newcastle community. No other Edmonton city councillor has a ward office. Current city policy doesn't specifically prevent councillors from using their ward budgets for this kind of purpose. "It hasn't been done before in Alberta," Dziadyk told his colleagues. "I think for the comfort level of everyone, it's appropriate to have this discussion." He put forward a motion asking administration to write the provision into council's new expense policy and present it at the next council services committee meeting on April 29. In 2018, each councillor had access to $188,178 for expenses. Councillors use much of the money to hire executive assistants and council assistants. Dziadyk came under fire in February for using his expense budget to pay tuition for an Executive MBA at the University of Alberta. In a blog post, Dziadyk revealed he was paying 35 per cent of the tuition and using his ward budget for the remainder of the cost. At the end of the nearly two-year degree, Dziadyk would have used $44,000 of taxpayers' money for the degree. Shortly after CBC reported the story, Dziadyk apologized and reimbursed the ward budget the $11,000 he had already used for the degree. Dziadyk cited several advantages to having an office, including privacy issues and convenience for himself and the people he represents. "They don't want to talk about it in public, they want to speak with their councillor in a private setting," he said. "What I want to do is offer them that opportunity." Councillors typically meet with constituents either at city hall, in a coffee shop or at a city-run facility, like a recreation centre. Dziadyk argues that the trip to city hall is onerous for some of his constituents and space in city-owned facilities is not always available. "Quite frankly, I want to get up on a Saturday from my house and just drive two minutes to my office so that I can meet with people on weekends and in the evenings," Dziadyk said. He would post office hours during evenings and on weekends at the office and staff it himself, he said. Other councillors didn't dismiss the idea but flagged potential issues. "Is it necessary? Is it a hardship for people to get to city hall? Is it a hardship for councillors to just go into the community and meet with folks, at a community centre or library?" Coun. Aaron Paquette asked. "I think it's not a hardship." Paquette also questioned whether using public money for an individual office is ethical. "There are community leagues, there are churches, there are public spaces," he said. He did however acknowledged that it may be a burden for people with limited mobility to get downtown and applauded his colleague's desire to be more accessible to his constituents. Coun. Scott McKeen, whose Ward 6 is the closest to city hall, thinks the idea has merit. "I get that some people probably have to travel long distances for meetings," he said. "I'm totally open to this to be fair to other councillors." But McKeen suggested that a full report outlining costs, benefits and potential disadvantages would be a good idea. Council amended Dziadyk's timeline, asking administration to prepare a full report on the implications of opening a ward office by July 25. Dziadyk told media he didn't expect that level of scrutiny from his colleagues. "Council's more comfortable with a blanket approach to everything," he suggested. "It's like with blanket smoking bans, blanket other bans and blanket speed limits, the inability to contemplate one-offs is frustrating." Administration was asked to consult council's ethics advisor before presenting its report in July. The report is expected to include a list of city services that would go with a ward office, information about security, assistance with lease negotiations, insurance and technology needed to equip an office. It will also outline allowable councillor expenses and how those would be reported to the public.